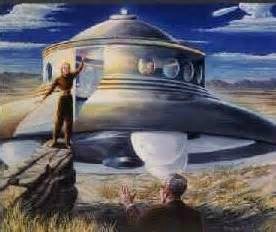 George Adamski stories of alien contact are either hailed or reviled. There is very little ambivalence towards this man's stories or books concerning outer space travel and meeting with aliens. Reader---the photo below is that of a flying saucer that George Adamski took. 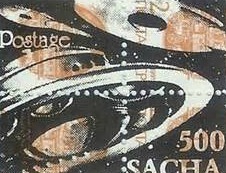 The stamp below is another version of Adamski's photo. 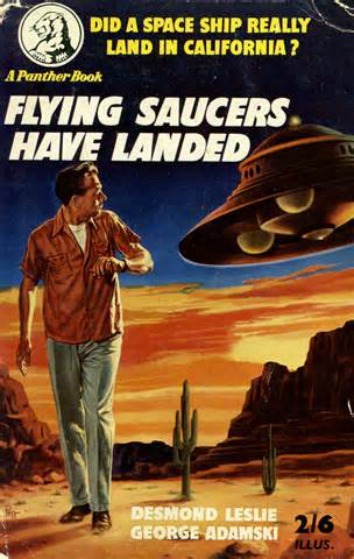 Ask yourself this question-- does the photo of the flying saucer look like a tricked up hat? 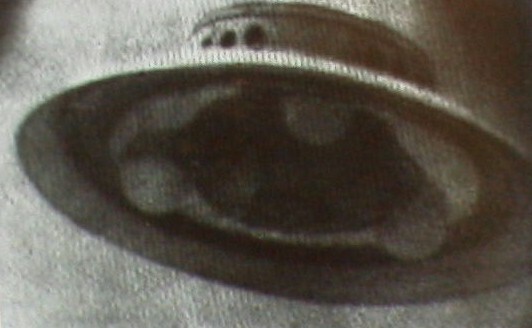 According to one skeptic-on the video-film "FRANK EDWARDS; FLYING SAUCERS ARE SERIOUS BUSINESS", claims that Adamski's UFO photo that looks like golf hat with ping pong balls is in reality (After much Research), a tricked up -- canister lid top from a 1937 vacuum cleaner. 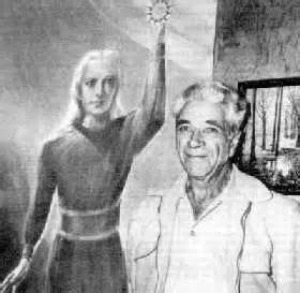 As stated above, George Adamski is thought of as either a fraud or a genuine contactee. 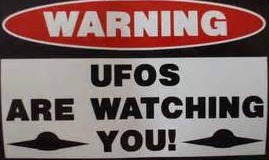 After reading about him---you will see why he is hailed or bashed by the UFO community. 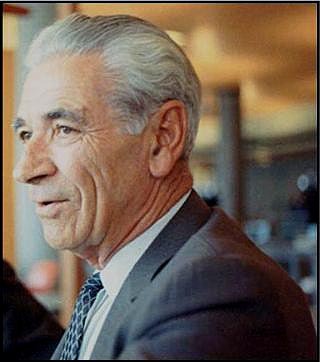 George Adamski was born in what is now Poland on April 17, 1891. In 1891 Poland did not exist as a independent country the nation had been absorbed by Germany and Russia. Not until after World War I was Poland granted its independence by the Versailles Treaty. Consequently, when Adamski's origin is stated, there is controversy- be it he was from Poland, Russia or Germany. Adamski's parents moved to the United States in 1893. Adamski was raised in Dunkirk, New York, as a boy he lived a poor life but was highly intelligent. George-Adamski served in the U.S. Army's 13th Cavalry from 1913-1916, his unit patroled the Mexican-American frontier. From 1916-1919 Adamski did his duty with the National Guard, during this time he married Mary A. Shimbersky on December 25, 1917. 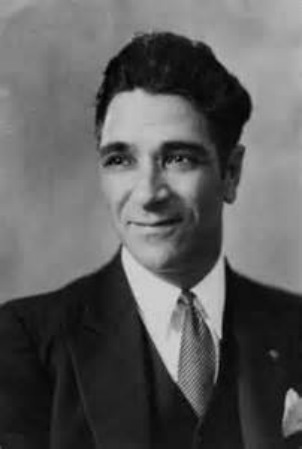 After being mustered out of the cavaly in 1919, Adamski drifted and worked many menial jobs, eventually he and his wife settled in Los Angeles where he became a concrete contractor. In 1930, Adamski founded the ROYAL ORDER OF TIBET. Adams preached to his followers a philopsophy of Universal Law. Adamski charisma and knowledge of Eastern mysticism earned him the nickname of "THE PROFESSOR". In 1936 Adamski penned the book, "WISDOM OF THE MASTERS OF THE FAR EAST". During the early 1930's when Prohibition was still the law of the land, Adamski was able to open a monastary in Long Beach, California. Where upon Adamski was able to make sacramental wine, for religious services. Wagging tongues claim that Adamski made great profit by selling the wine to thirsty dry Californians. The monastary was a dodge that enabled him to flank Prohibition laws. If true, Adamski was a capitalistic fox. By act of Congress, Prohibition ended in 1933. 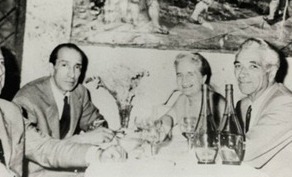 Upon this turn of events Adamski and his wife ran a cafe in Palomar Gardens, California during the 1940's, for Alice K. Wells. 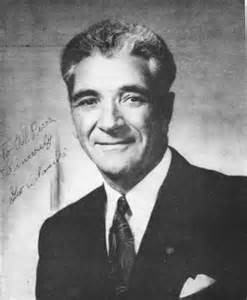 Geroge-Adamski saw his first UFO on October 8,9, 1946, in Palomar Gardens, California. 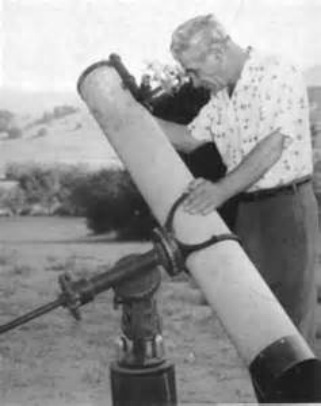 While watching a meteor shower, with a six inch telescope, Adamski spotted a large cigar shaped craft. Some people dismissed it as imagination or a blimp. However, other people in San Diego sighted a UFO, was it lies or truths? 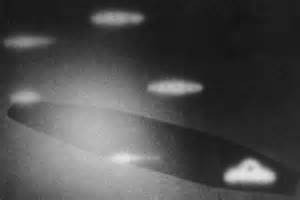 In 1947, Adamski claimed that he saw 184, flying saucers passing through the skies, The craft were segmented into 32 saucers per wave. 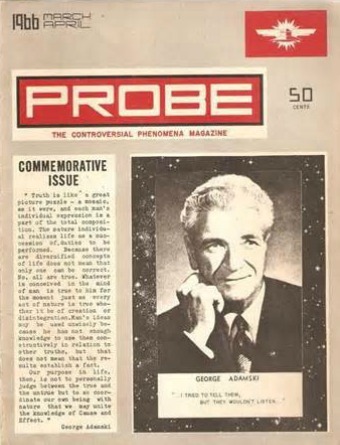 In 1949, Adamski penned a book entitled, "PIONEERS OF SPACE", this fantasty story had Adamski meeting aliens, visiting Venus, Mars, and the Moon. 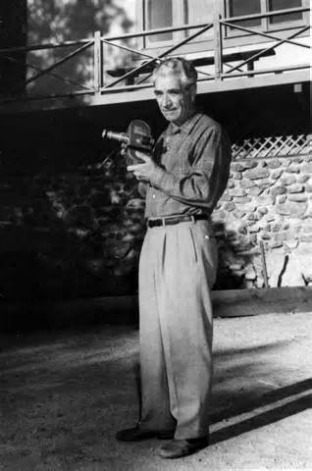 On Novemeber 20th, 1952, Adamski along with six other people, went by car to the desert. Somewhere between Parker, Arizona and Desert Center, California, Adamski had contact with an alien. The Adamski group parked their car in a desolate area and Adamski walked out into the desert and had an encounter with an Alien from a UFO scout ship. Adamski met Orthon, who was an astronaut on the scout ship. 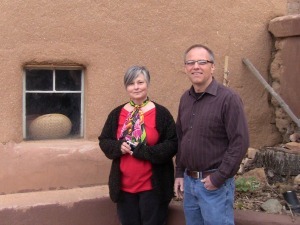 The duo communicated by telepathy, words, and by drawing on the ground. Orthon was from planet Venus, he was dressed in a brown overalls-jumpsuit. 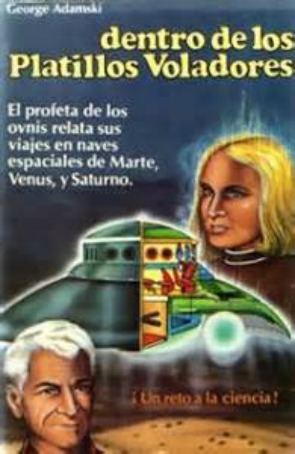 The Venusian was 5'6", his hair reached his shoulders, and he looked Nordic. The group that accompanied Adamski were not there at this meeting, and their accounts differ. Some records state that some members of the group saw something as in a craft, and other records state they saw nothing at all. What is true or false? Did Adamski meet a voyager from Venus? One story has it, Orthon, left boot prints in the sand, and plaster casts were made of these boot prints. The six people that went with Adamski were, George Williamson, who made casts of Orthon's boot prints, Betty Williamson, Lucy McGiness, Alice K. Weis, Al & Betty Bailey. George, had more contacts with the aliens, on the following dates--February 18, 1953; April 12, 1953; April 24, 1955. During this time span Adamski's wife died in 1954. 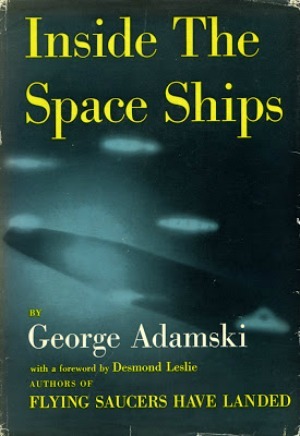 Adamski wrote many books about his alien encounters and became a lecturer and celebrity. 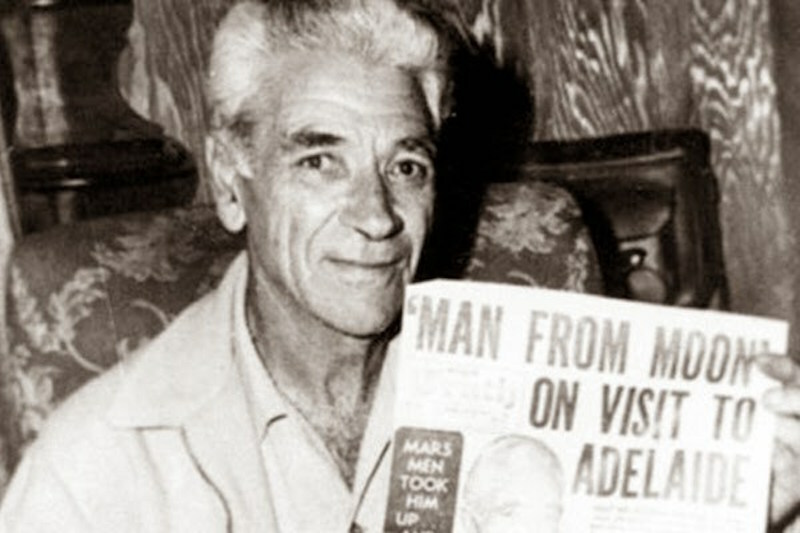 Adamski, claimed that he was taken into outer space as a guest of the aliens. According to Adamski all the planets of the solar system are inhabited. 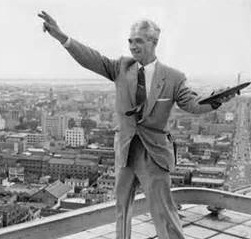 Adamski also preached what the aliens told him, that the universe was a big school. If you got things right on Earth, when you died, you would be born onto another planet, as in graduation. Life in the universe was about learning, wisdom and growth. Adamski's spacemen claimed that Jesus Christ was an alien master who had incarnated on Earth in order to try to help humanity. Earth was a problem planet, there had been many civilization before ours, but they had destroyed themselves in wars. 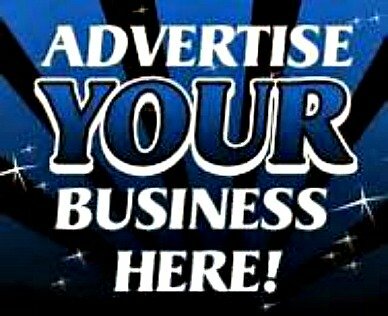 Humanity seemed to be stuck in a scheme of growth-war-destruction-start all over, growth-war-destruction-start all over. It seems humanity was trapped into a cycle of destruction, and would never break into a realm of harmony, that would enable the people of Earth to reach a new level of wisdom. These stories were very similar to what Adamski had preached years before as "THE PROFESSOR" and what he had penned in his fantasy book, as in life on other planets. How was Adamski able to become the premier UFO celbrity of the 1950's? At that time, the American public was very trusting, and Adamski's tales hit home with the public. Adamski, painted himself as Joe Everybody and his encounter at first seemd real to certain segments of the population. As Adamski's stories became more fantastic, his popularity plunged. 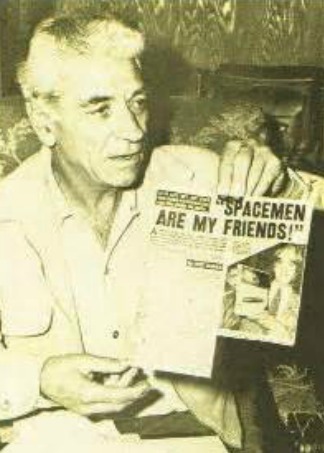 In 1962, Adamski claimed that he had gone to Saturn where upon a meeting took place with other aliens. On April 23, 1965, while Adamski was visiting friends in Silver SPrings, Maryland, he was stricken by a heart attack and died. Prior to that, on the very day of his death, he told his friends that the aliens were going to visit him. Was Adamski telling the truth? Was he a fraud? The snapshots of alien spaceships that he took do look suspect. 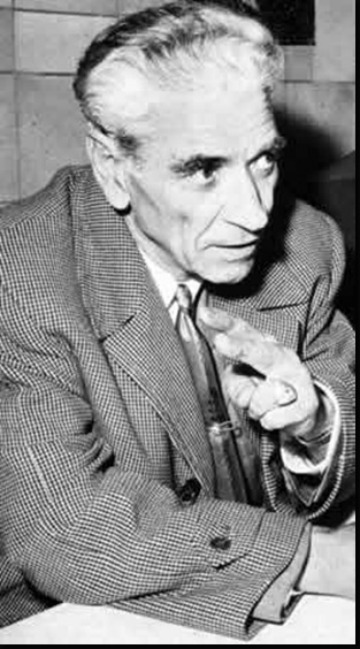 Perhaps, Adamski did see something at one time, or had some type of encounter with who knows what and then embellished the story and then turned his visit or tall tale into a cottage industry. Adamski was a capitalist, proof of that is his winery during Prohibition. Judge for yourself, was Adamski legit, he claimed that there was vegetation on the planets, etc... So far he has been proven wrong. In particular, one snapshot at the top of the page is of a purported spaceship that his alien friends piloted. 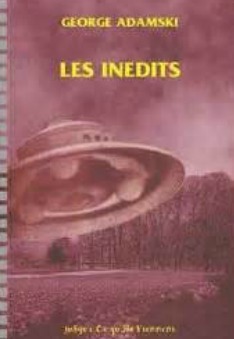 To me the UFO snapshot looks like a summer hat with ping pong balls glued to it's underside. As of today, Adamski reputation is savaged by nearly everybody. However, Adamski, to his credit preached peace, wisdom and growth. Adamski's partisans, few in number have some wild ideas about his UFO-ALIEN contact. A few Weird Beards think that Adamski really did make contact. To the left is this proof? -The two photos from 1951 were taken by Adamski through his telescope--(TV show + ufo photo--1951). Adamski claimed the photos show alien scout ships disengaging or exiting the mothership. Rather like how the smaller scout ships divide off off the mothership in the 1996 film "Independence Day'. However this idea of launches, predated the 1996 blockbuster film by 45 years. 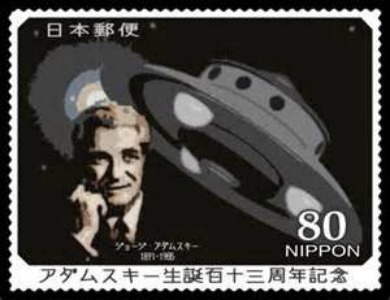 Some UFO devotees think-to squelch Adamski's credibility with the public, Adamski was duped by the Federal government BLACK OPS boys---and he was made later on to look the fool. By way of mind control and stage acting, Adamski was tricked. 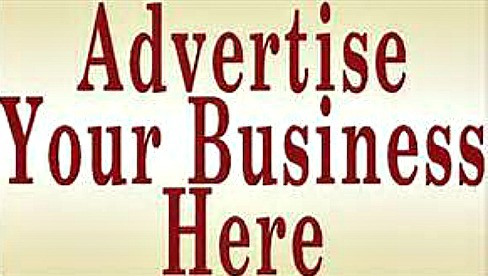 ADAMSKI AND PERCEPTION = As for Adamski's and his profiteering off of his UFO-Alien encounters, some of his champions see nothing wrong with that, after all the USA is a capitalist country. Plain and simple Adamski had a message that people would pay to hear, so he made hay while the sun shined. CONCLUSION? Again one must beg the question, are Adamski's partisans right, in that he was a legitimate contactee. Or are the nay sayers correct, in that Adamski was a fraud. 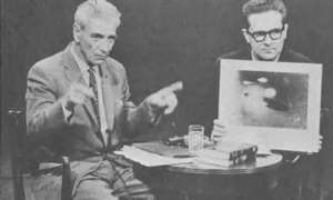 No matter how you judge the man, during the 1950s Adamski was the KING OF THE HILL--when it came to lectures concerning E.T.s. One idea that some conspiracy people think is possible is that Adamski was a ploy. Adamski was an unknowing puppet of some secret society that did the bidding for certain top secret Federal goverement factions---. The secret society's goal was to get the American people's attention off of the real UFO threat or UFO encounters-- be it the 1950-1954 FLYING SAUCER FLAP or the 1947 ROSWELL CRASH--which did not get into the public eye until the late 1980s. 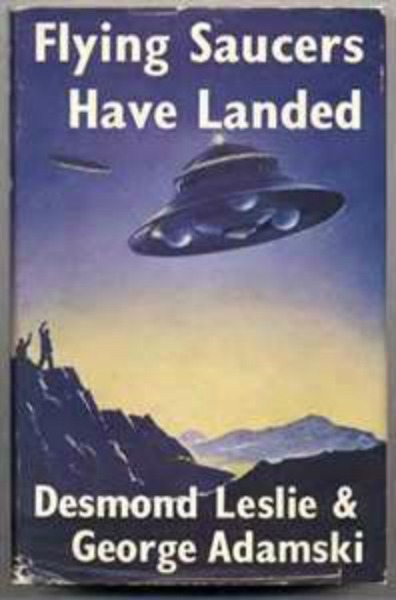 In that respect Adamski did manage to cloud the waters of UFO research in the 1950s. Below -- is a late 1950s interview of radio broadcaster LONG JOHN NEBEL and GEORGE ADAMSKI at 10:07, there are other interviews. BELOW: Another tidbit on FOO FIGHTERS --- as far as my research goes -- ADAMSKI never described alien craft as in how WWII pilots = a ball of fire or energy. BELOW: Another UFO report similar to the CALUSA incident. In June of 1965 Gemini 4 astronaut James McDivitt. spotted a UFO in orbit around the Earth that had metal arms (cables?). Below is the data on this incident. Is this UFO the same craft that was seen 12 years later in 1976 over Calusa, California? Was the sighted 1965 UFO part of some top secret BLACK OPS OPERATION that the Gemini astronaut was not told about? 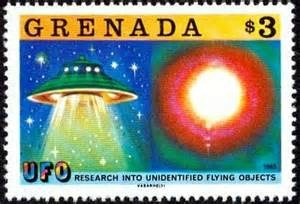 As for the June 1965 time frame, were there any missing people or cattle mutilations that were reported at the time of this UFO sighting? The missing people and cattle mutilation questions do go against what Adamski claimed, that the aliens were space brothers and meant humanity -- no harm. BELOW: The 1952 UFO wave over Washington D.C. Something was there, and it was not swamp gas! BELOW: OREGON UFO photos from 1950 re-examined --- it seem the 2 photos to be legit. To order book, click on ORDER BUTTON -- left on this page -- or go to AMAZON and order this book.